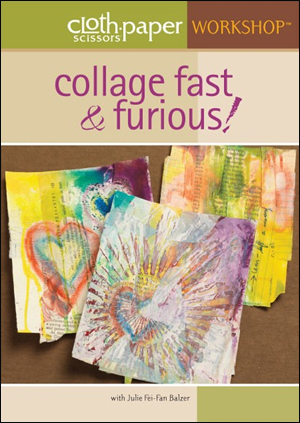 Snag this exclusive downloadable bundle for a myriad of collage techniques from Julie Fei-Fan Balzer! Plus, learn how to effectively feature your collage creations on the blogosphere with the included web seminar download. Get started in mixed-media art with fan-favorite Julie Fei-Fan Balzer's instruction for collage art. 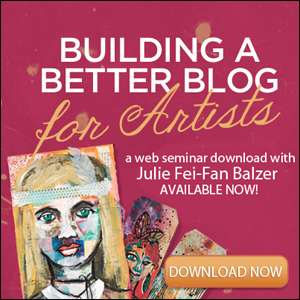 Plus, learn how to run a great art blog featuring your work with Julie's web seminar download! With Building a Better Blog for Artists, master the etiquette and social practices needed to run a successful art blog. Utilize on-hand materials for a versatile collage session with Collage Fast and Furious, and learn accessible and easy collage techniques. Use your newfound collage skills and create painted portraits over whimsical layering in the first of the Art Lessons series, Paint Over Collage. Save 30%, design collage creations, and get advice for promoting your collage work in the blogosphere from Julie Fei-Fan Balzer! Join mixed-media artist Julie Fei-Fan Balzer as she guides you through the blogosphere and outlines the best practices for running an art blog. With Julie's tips, you'll be a cyber-savvy blog pro! 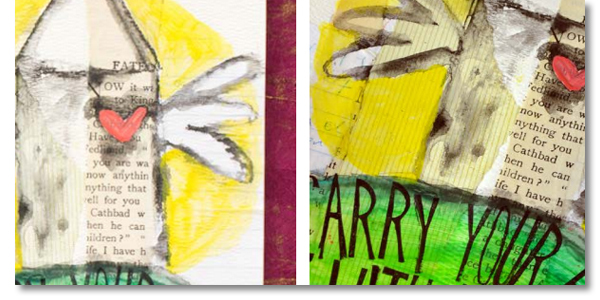 In this web seminar download, you'll love Julie's positive and invigorating take on mixed-media and the blogosphere. This is your chance to not only learn from a master artist and social-savvy pro, but also hear Julie respond to other artists just like you about their burning questions. Grow your technique repertoire! Learn numerous quick and reliable techniques to use when creating mixed-media art in this workshop video download. There's no need to buy special equipment-use what you have on hand (junk mail, cardboard toilet paper tubes, plastic forks, etc.) and mix it up with your art supplies. Artist Julie Fei-Fan Balzer shares a compendium of techniques to use anywhere, even in a small apartment-no ventilation issues, no space-hog issues. Make a mess, have some fun, use your stash, get it done quickly! Join mixed-media artist Julie Fei-Fan Balzer as she makes sense of chaos with "Paint Over Collage." Explore this trendy technique by creating a mixed-media portrait project that features mixed-media layering, painting, and portraiture. 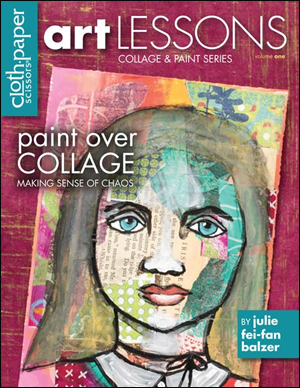 With the first in the Art Lessons series, create your own handmade artwork by using Julie's approachable and innovative paint and collage techniques.